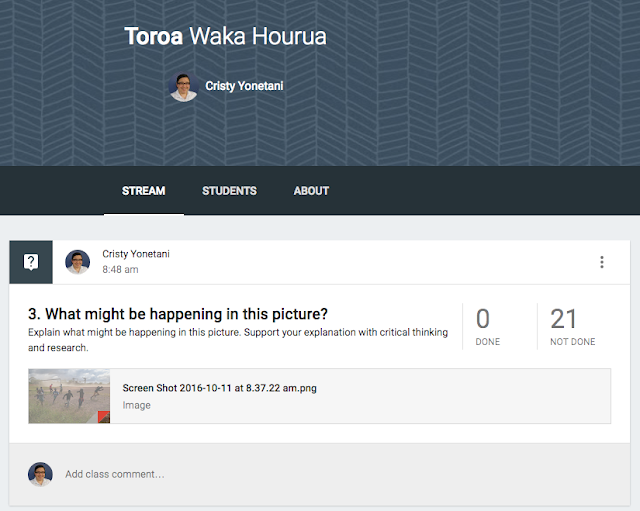 Visit our Toroa Google Classroom below and look closely at the pictures. Use your critical thinking skills and creativity to imagine what might be happening in each picture. Write a detailed explanation of what might be happening. Post your response in our Google Classroom.